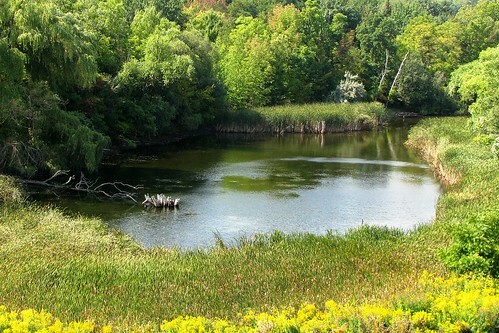 Fear of losing pond access won’t let you sue over a zoning determination. Reaffirming the limits on neighbors’ ability to challenge local zoning decisions, the Supreme Judicial Court (SJC) recently held that an abutter lacked standing. The case is Picard v. ZBA of Westminster. It emphasizes that, in order to sue, abutters must be able to show that ZBA decisions will cause them actual harm of the kind that zoning laws are intended to prevent. In the case, Maurice Picard enjoyed an easement allowing him access to a pond on his neighbor’s abutting property. The neighbor, 3333, Inc., wanted to build a house on that property. The lot was too small under current zoning, but the building commissioner determined that it was grandfathered, and permitted the house. The zoning board of appeals upheld that decision. Picard appealed, claiming that the construction would interfere with his pond access, and that conflicts might arise between the property’s new inhabitants and people who had a right to use the pond. 3333, Inc. maintained that construction would improve pond access, not interfere with it. The SJC noted that only a person “aggrieved” by a ZBA decision can appeal it. He or she is aggrieved only if the decision infringes on legal rights that the Zoning Act was “intended to protect, either explicitly or implicitly.” Zoning is intended to preserve neighborhoods from uses that could be “deleterious,” such as uses that could bring excessive density, traffic or noise to a neighborhood or decrease parking availability. As an abutter, Picard had a presumption of aggrievement from the ZBA’s decision. However, the SJC held that 3333, Inc. successfully rebutted that presumption by showing that the Zoning Act was not intended to protect against potential loss of an easement right. If his easement rights were impaired, Picard’s remedy was to sue 3333, Inc. directly.